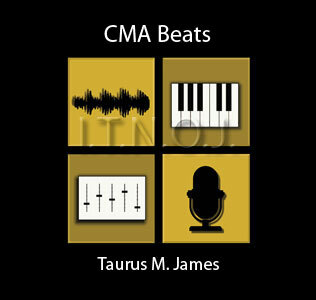 This is one of the piano sample flip beats in my latest Moody instruMental Music collection "CMA Beats" available for you to download here at TaurusBeats.com. For this sample flip beat, I'm using Propellerhead Reason 6.5 and the Yamaha DJX MIDI keyboard as a controller to trigger all instrument sounds in Reason. Be sure to check out my Reason Beat Making Video Tutorials, where I show you how to make Moody instruMental Music and sample flip beats. Even though I'm using Propellerhead Reason to make my Moody instruMental Music creations, you can use my tips and techniques in any DAW to create your own music and make beats. IMPORTANT: This song contains a sample. If you purchase a license to use this song, you are responsible for clearing the sample for use in your project. Contact me if you want to license a version of this song without the sample. TaurusBeats uses AddThis share buttons so you can easily share your favorite content from this site to your Facebook, Twitter, and more. To share this content on social media, click on the share icons. You will be prompted to connect your social media account if you have not already. Got something to say? Sign up or login to participate in the conversation. TaurusBeats.com and TaurusJames.com are owned and operated by Taurus James.